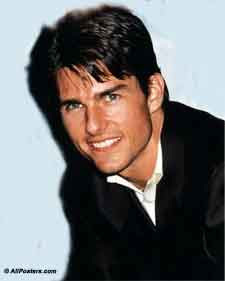 Celebz Gossips: Cruise Tried To Educate King About Scientology. Hollywood star TOM CRUISE took US talk show host LARRY KING on a tour of a Scientology museum following his controversial attacks on psychiatry and anti-depressant drugs. Cruise hit the headlines in 2005 when he publicly attacked BROOKE SHIELDS for using Paxil to overcome her postpartum depression following the birth of her first child ROWAN, claiming vitamins would have helped her deal with the condition. He also appeared on the TODAY show soon after, claiming he knew the history of psychiatry and it was dangerous. Following the controversy, Cruise invited TV veteran King to a Scientology museum named Psychiatry: An Industry of Death, but King's opinion remained unchanged - he still disagrees with Scientology's views on anti-depressants and psychiatry. King tells Florida's Palm Beach Post, "I like Tom a lot. "Their (Scientologists') attack on psychiatry is incredible. They hate psychiatry."